Oxygen is one of the most destructive forces in modern society, especially because we build and manufacture using metals. From rusting iron rebar, to stress corrosion cracking on aluminum hulled craft, to the extremely corrosion resistant nickel alloys used for potential nuclear waste storage, corrosion happens. Gamry has been at the forefront of electrochemical corrosion testing since our inception in 1989. Read on to learn more about corrosion research and how Gamry people and systems fit in. Corrosion is the chemical or electrochemical reaction between a material, usually a metal, and its environment that produces a deterioration of the metal and its properties (see ASTM G 15). A chemist would classify corrosion as an oxidation, an electron-transfer reaction involving the loss of electrons. Since corrosion is an electrochemical process, it follows that electrochemical techniques and electrochemical instrumentation can be used to study the corrosion process. Indeed, a number of electrochemical techniques have been developed over the years especially for the measurement of corrosion processes. Electrochemical techniques are very well accepted by the corrosion community and it is the rare corrosion laboratory that does not make routine use of these tools. They are fast. Corrosion, even rapid corrosion, is a slow process. Real-time weight loss measurements need days and sometimes weeks to make a reliable measurement of corrosion rate. Electrochemical instrumentation can make a corrosion rate measurement in minutes or hours. They are sensitive. Modern, well-designed electrochemical instrumentation can measure extremely low corrosion rates. They are accurate. Electrochemical techniques have been exhaustively tested before finding general acceptance. Organizations such as ASTM and NACE have sponsored a number of symposia and published peer-reviewed papers describing the use and results of these techniques. They are versatile. Electrochemical techniques can be used to study a wide range of corrosion-related phenomena. The rate of uniform corrosion can be measured. 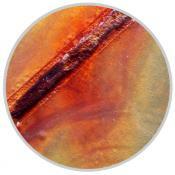 The tendency of a metal to exhibit localized (pitting or crevice) corrosion can be measured. The passivation behavior of a corroding system can be studied. Galvanic corrosion can be quantitated. Sensitization effects can be studied. Electrochemistry can be used in the laboratory or in the field. Measurements can be made on the lab bench or in a pipeline or in an autoclave or in a slow strain rate machine.